Typically you will want to set your source (usually a mixer or T1 ToneMatch Audio Engine or ToneMatch Mixer) to the maximum you can without clipping. On a mixer this may be shown as unity or 0. When setting the Volume Control on the F1 Model 812 you can turn up the Volume Control until you see solid red, and then turn it down a little. Occasional red flickers (up to a second long) are okay. This may start to happen at -5 dB before clipping or with transient peaks. You will see these to warn you when you are approaching clipping. If you see solid red then you may be clipping. It is completely fine to turn up the Volume well beyond 12:00 o'clock if you need to. 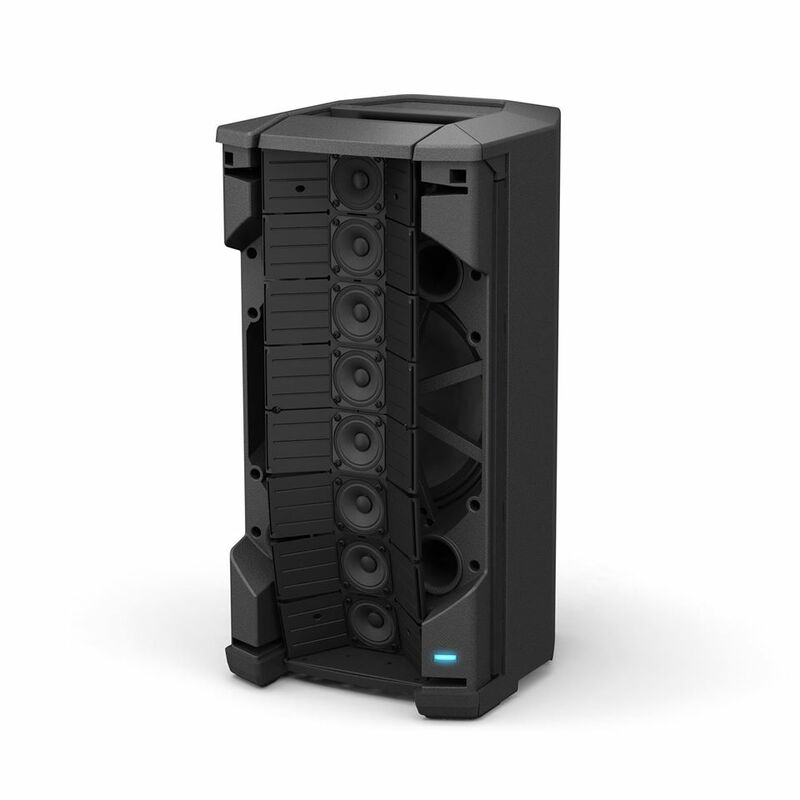 After you have found the maximum volume available you can control the system volume at the source. You probably won't have to change this setting on the F1 Model 812 unless you use a different source. You won't damage the system if the red lights are visible. The internal limiter will protect the system. You can tell when the limiter is working. The yellow limiter light will come on. The SIGNAL INPUT switch sets the input sensitivity. The MIC setting does not apply any microphone specific EQ. In this way, it is different from the L1® Compact Channel 1 input. Ideally the F1 Model 812 should receive a input level of +24 dBu to use the Line Level setting. If your source has an output level lower than that it's perfectly okay to use the MIC setting. Turning the Volume Controls all the way down sets the input to its lowest level but a strong signal may still be audible. This does not indicate a malfunction. If you want to operate the F1 Model 812 horizontally, you can rotate the logos so they are parallel with the floor. Gently - pull the logo straight out about 1/4" of an inch. 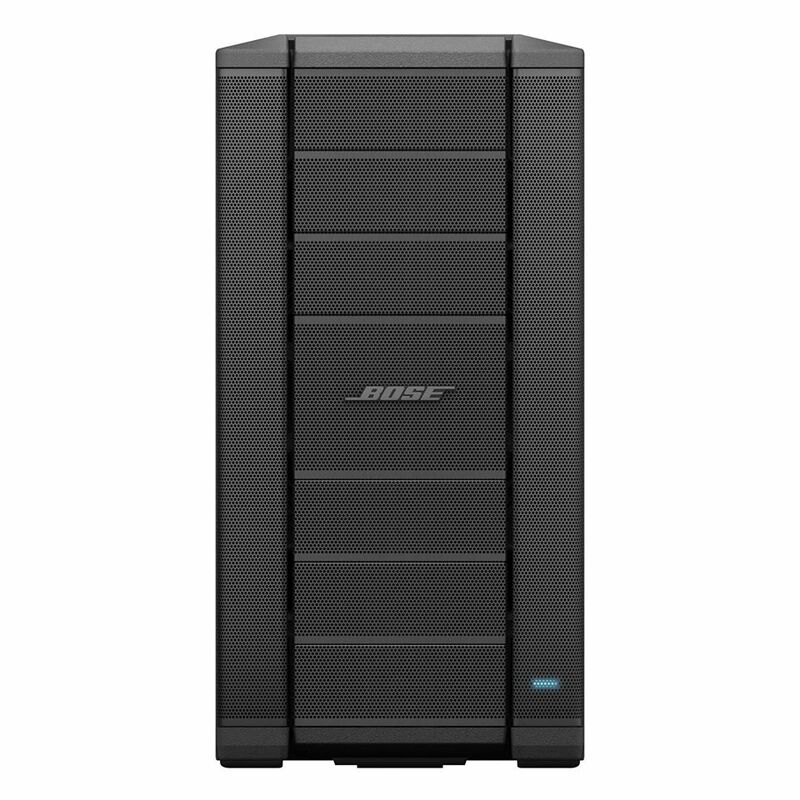 No tools required: I used my fingers above and below the OS in BOSE. Do not pull on the tails in the B or E.
It's spring loaded. So pull it straight out about 1/4" and then you can rotate it 90° at a time in any direction. Then when you release it, it should slip back flush with the grille. 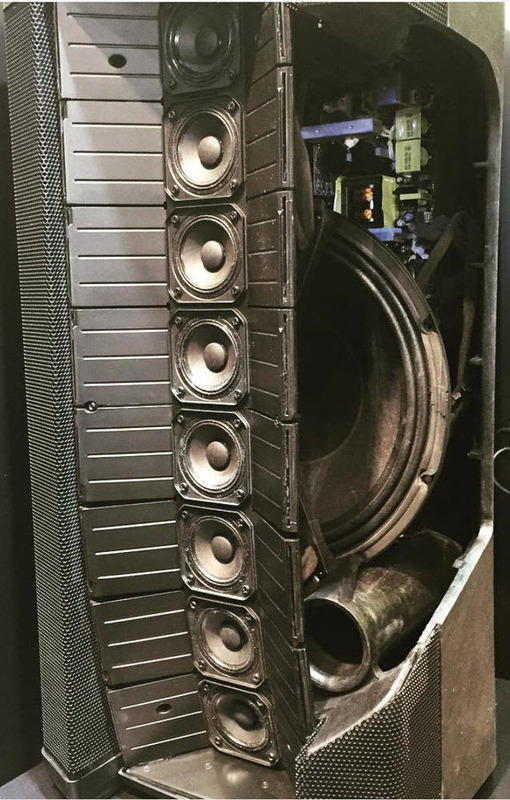 It’s come to our attention that some of our users are concerned about a smell coming out of F1 Subwoofers during the first few usages. This smell is out-gassing and it is actually normal for an odor to be released from a new loudspeaker. This is a release of chemicals due to temperature or pressure. In almost all cases this goes away after the first few uses of the product. If anyone feels their product is behaving abnormally, we encourage our users to reach out to our support department. 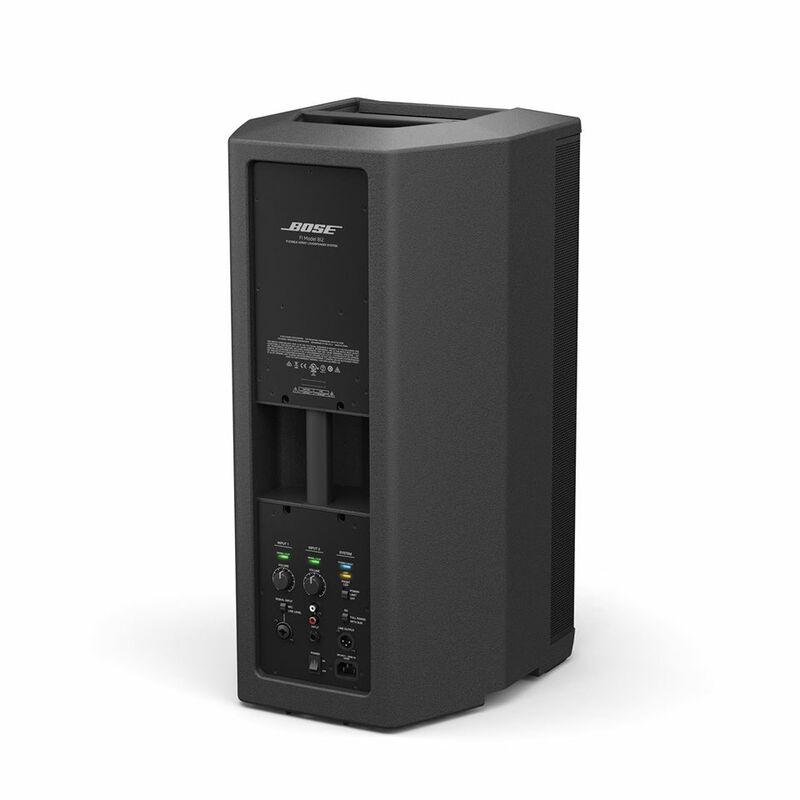 Individual outputs that provide balanced line output signals (pre-volume control) that can be sent to powered loudspeakers or additional subwoofers. Note: When the LINE OUTPUT EQ selector switch is set to THRU, the LINE OUTPUT signal will be full range. 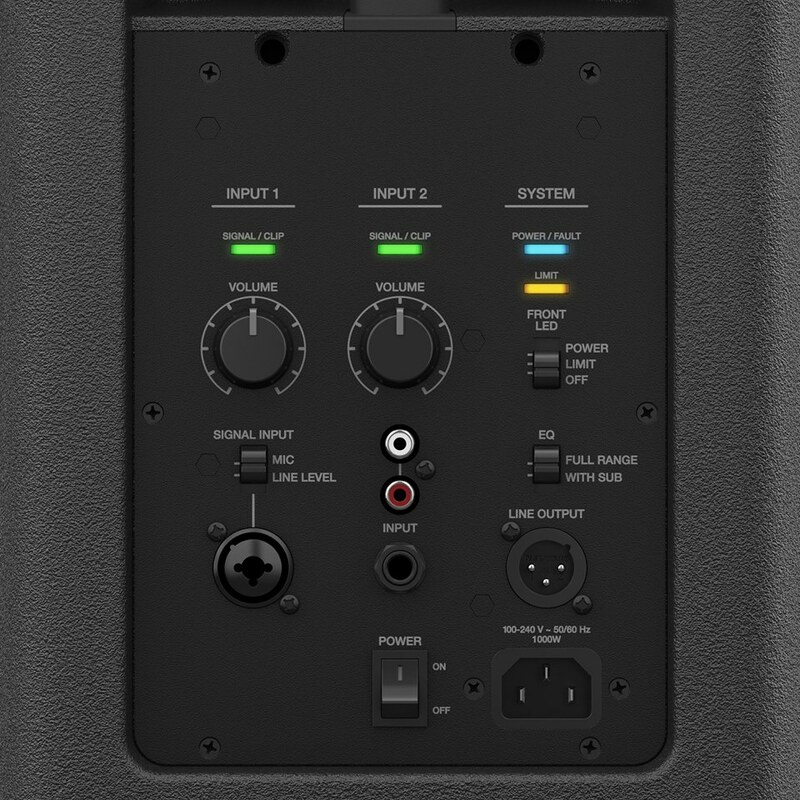 LINE INPUT 1 & 2: Combination XLR – ¼" phone connector inputs that accept line level signals. The INPUTS 1 & 2 remain distinct at the LINE OUTPUTS 1 & 2. They are not summed. 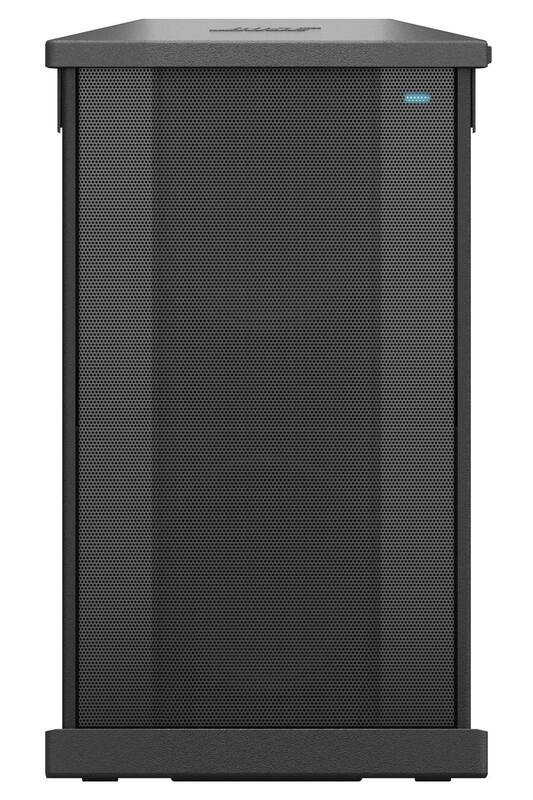 'NORM' is used when the F1 Model 812 loudspeaker is mounted on the supplied stand. 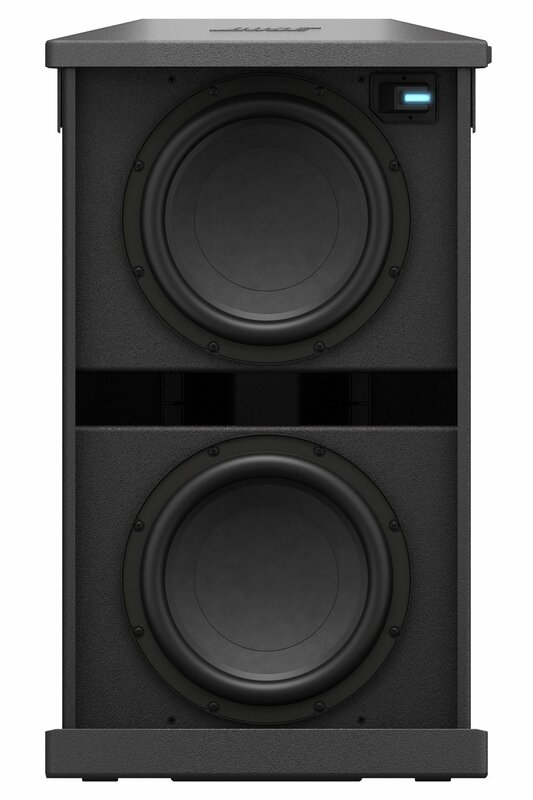 'REV' may be used to better align the bass when the subwoofer is located further away from the F1 Model 812 loudspeaker. 'POWER' enables LED to indicate power status. 'LIMIT' enables LED to indicate limiting. Displays the input signal status in color. Red = signal clipping - input signal too high. Adjusts subwoofer volume. 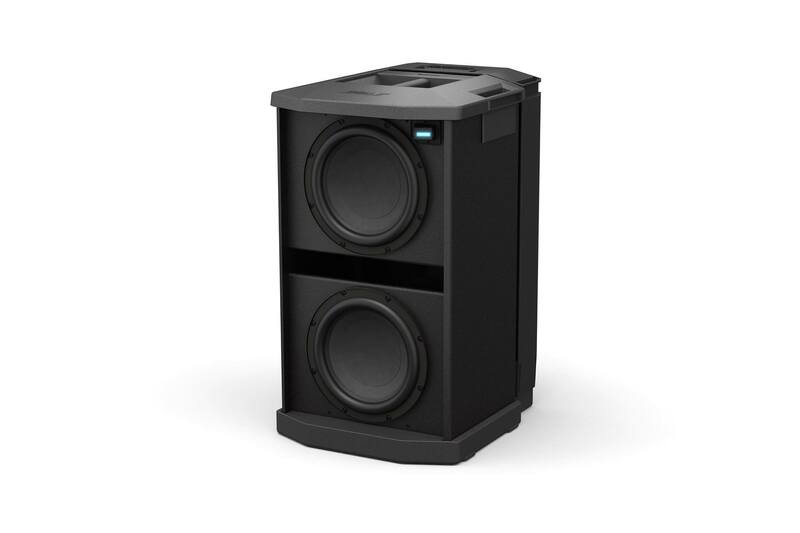 Middle detent position is 0dB – nominal position when the F1 Model 812 and F1 Subwoofer are connected to a mixing console. Use 0dB position for a line-level signal input. 'THRU' passes input signal to the output with no filtering. Recommended when using with F1 Model 812. 'HPF' passes input through a high-pass (100 Hz) filter. Affects LINE OUTPUT signals only. Recommended settings for the EQ selector switches on the F1 Model 812 Loudspeaker and the F1 Subwoofer are describe in the following table. The system has been tested to operate in temperatures from 0° – 50° C (32° – 122° F), and be stored in temperatures from -30° – 70° C (-22° – 58° F). What are the main differences between active and passive? The active is a self-powered product with a built-in amplifier. 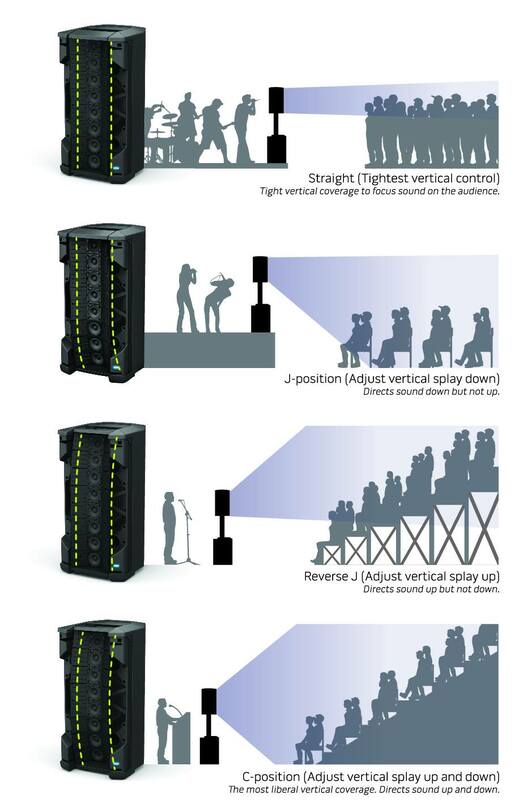 The F1 passive requires outside amplification. 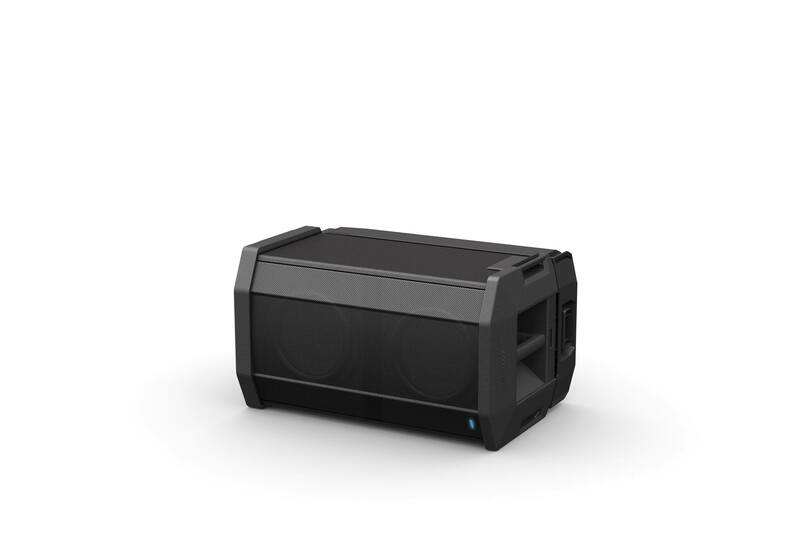 The F1 Active and F1 Passive have the same inserts, share the same accessories and brackets and can be used in both portable and installed applications. Can the F1 Passive be bi-amped? The F1 Passive cannot be Bi-amped. 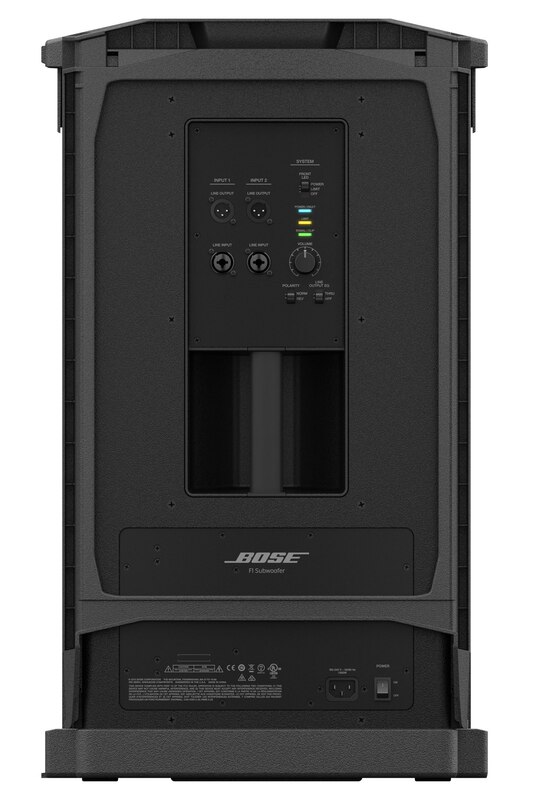 It has an internal crossover to distribute audio between its mid/high drivers and woofer. Why does it require Active EQ? The F1 Passive requires active equalization to achieve the full frequency response and tonal balance. There are four loudspeaker equalization presets available for each of the four array positions. 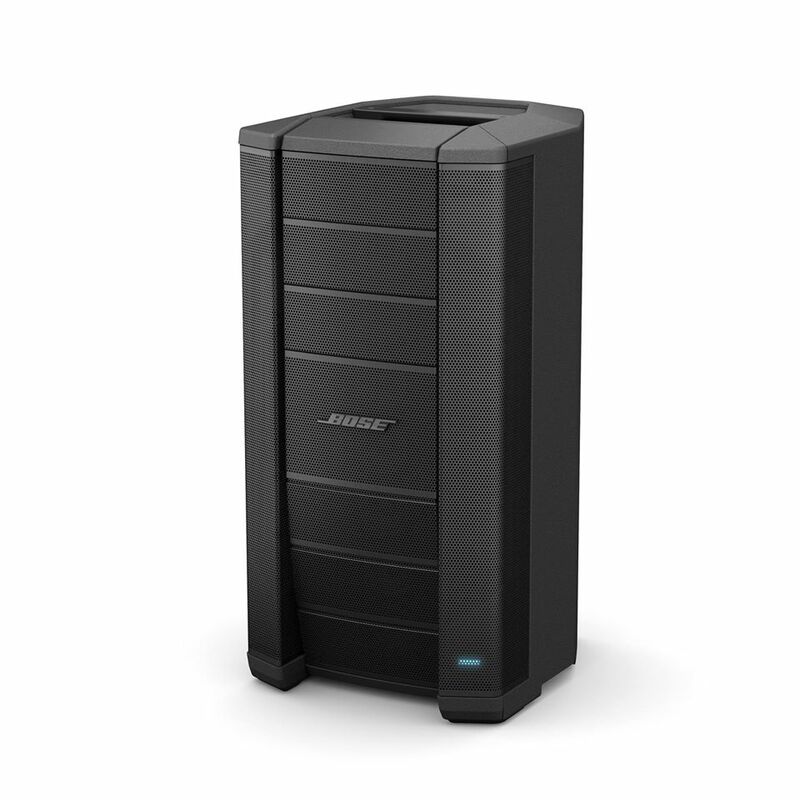 These can be used in both Bose and 3rd Party processors. Is it compatible with the F1 sub? 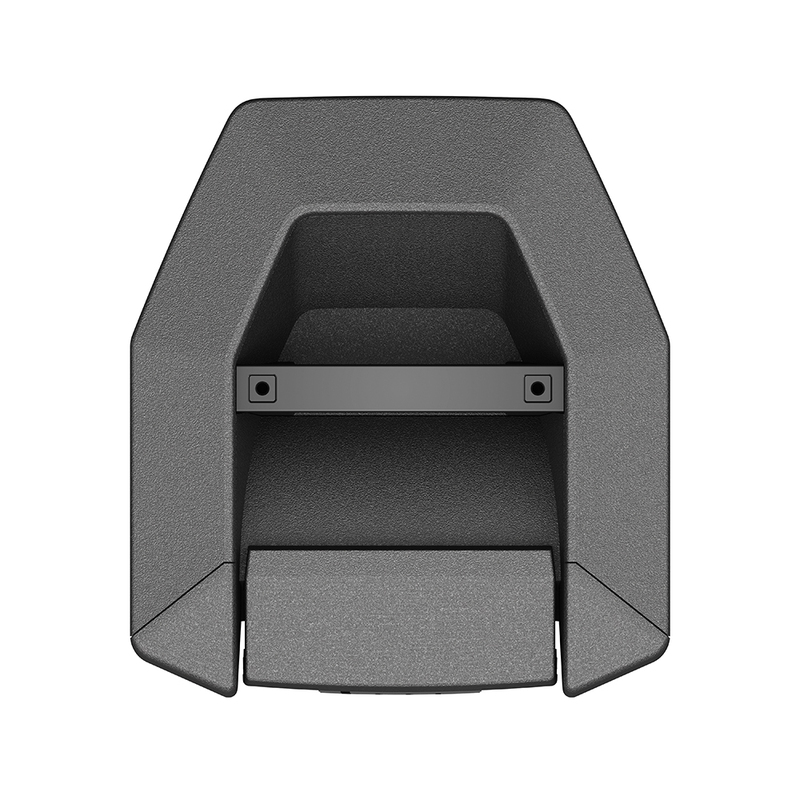 The F1 Passive speaker is not compatible with the F1 Sub speaker stand. 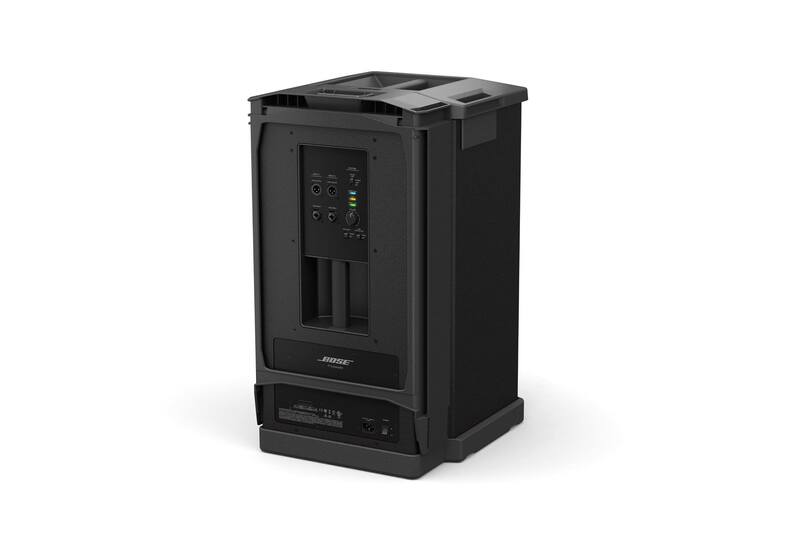 For installed applications, we recommend using the MB4, MB12 and MB24 sub. 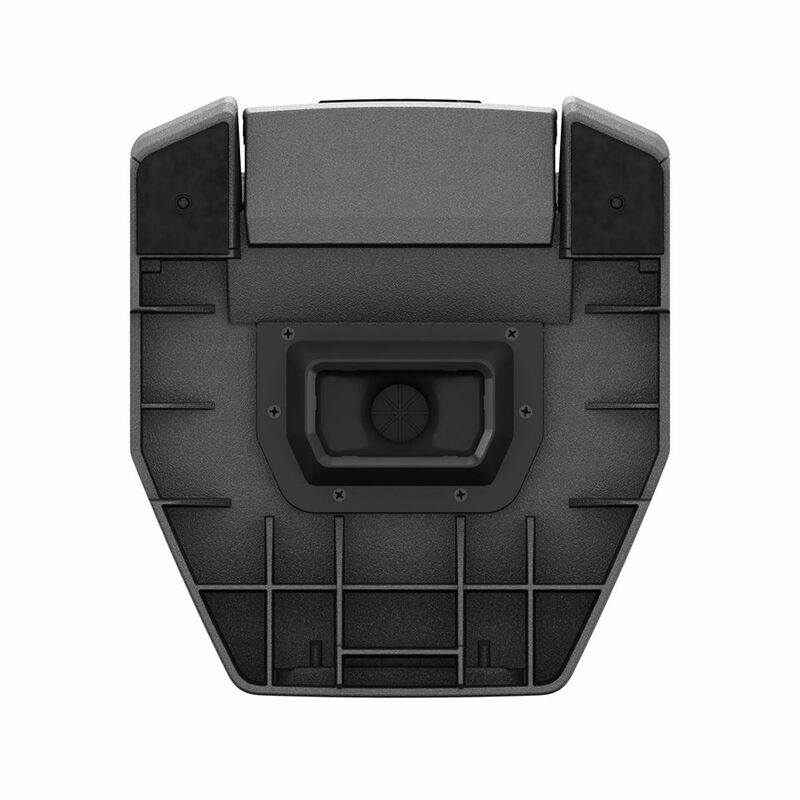 F1 Active and Passive share the same accessories, these include the U-Bracket, Yoke Bracket, Pan-and-Tilt brackets and carry bags. 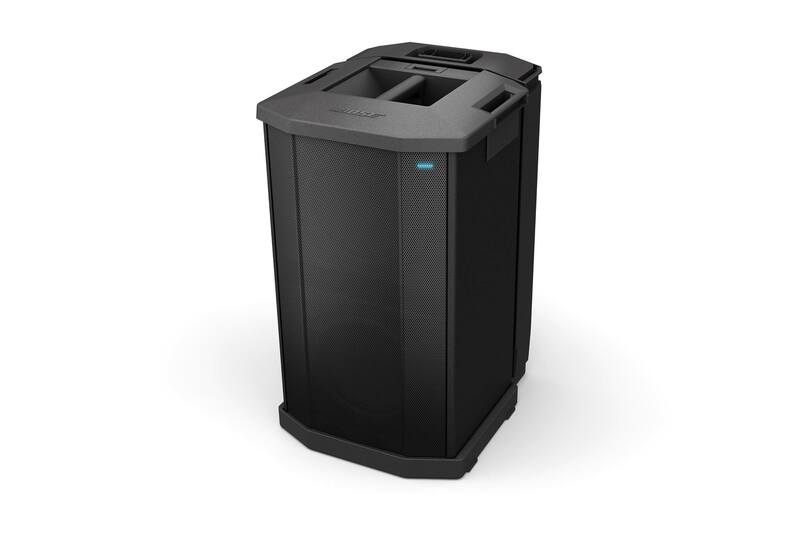 Which subwoofers are compatible with the F1 Passive? For installed applications, we recommend the MB4, MB12 and MB24. Can I install this outdoors? F1 Passive is intended for indoor installations. No. F1 Bags and covers are available as optional accessories.